We all know about the beautiful universities around the world — Oxford, Harvard, Stanford. But what about Jahangirnagar University, Taroudant University, or University of Peradeniya? These are some of the schools found in the Emerging Markets (EMs) that you will definitely be floored by. Take a scroll through this list of beautiful campuses in the EMs and feast your eyes! University of Ghana is the largest and oldest out of thirteen universities in the country. The University sits on a huge piece of land which allows students to roam freely and admire the plants, trees and flowers that surround the campus. Not forgetting the gorgeous pond in front of The Balme Library, a perfect spot for students to gather and enjoy the serenity. This picturesque campus serves not only as a sight to admire, but a school to consider as well with its #1 ranking in Ghana. It is also amongst only a few other universities in Africa that offer nuclear physics and nuclear engineering as programmes in its array of courses. So, if you are interested in working in a nuclear-related industry, this is a school you should definitely consider! 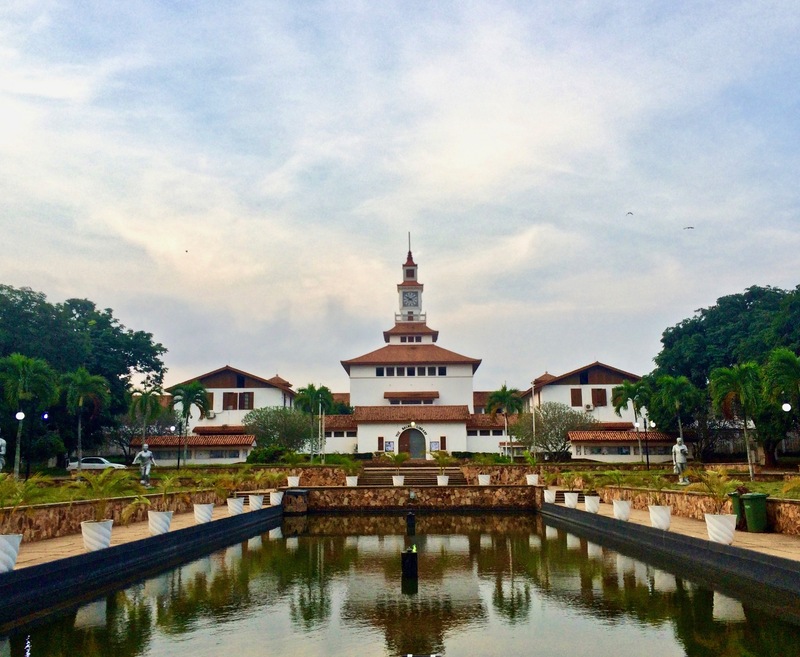 Click here to find out more about what University of Ghana has to offer! 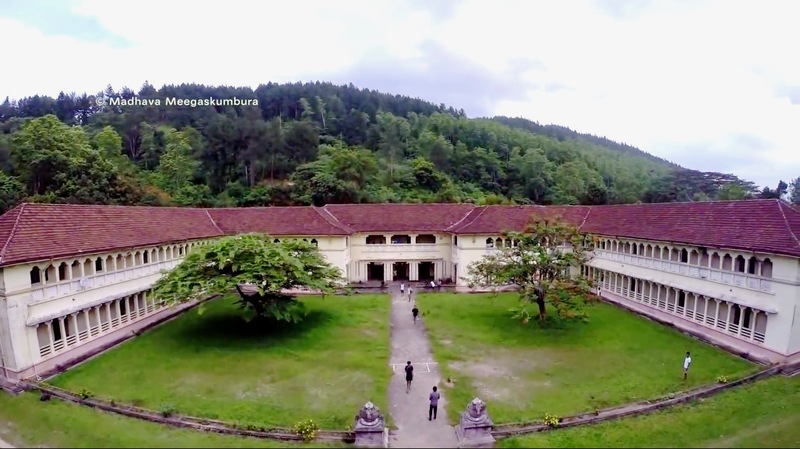 Spanning almost 70 hectares of land, University of Peradeniya is THE one for all nature lovers. Renowned for its surrounding nature, this campus is situated at the bottom of Hanthana mountain range. There, you get gorgeous views of the sky, forests, and even the Mahaweli River. The campus has been said to inspire many, including Sri Lanka’s premium playwright — Ediriweera Sarachchandra. He was made Emeritus Professor in the school and even had the university’s open-air theatre named after him, Sarachchandra Open-Air Theatre. This was where he debuted his first stylist play Maname in 1956, an iconic piece that is considered the first ever real Sinhala drama until today. Click here for a virtual tour around the campus! The University of San Andrés is as cosy as it gets! 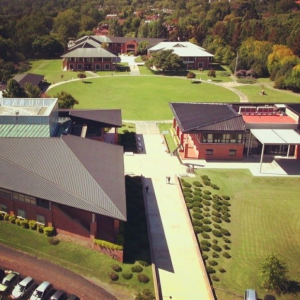 Nestled within tall trees and consisting of low-rise, brick-walled buildings, this campus allows all who visit a perfect, unobstructed view of the vast skies. Aside from oozing the homeliness like that of a neighbourhood, this university provides more than just comfort, offering more than 70 study-abroad programs with schools all over the world in regions like Europe, North America, and Latin America. Click here to read up on the core values of the school and what they provide for students! 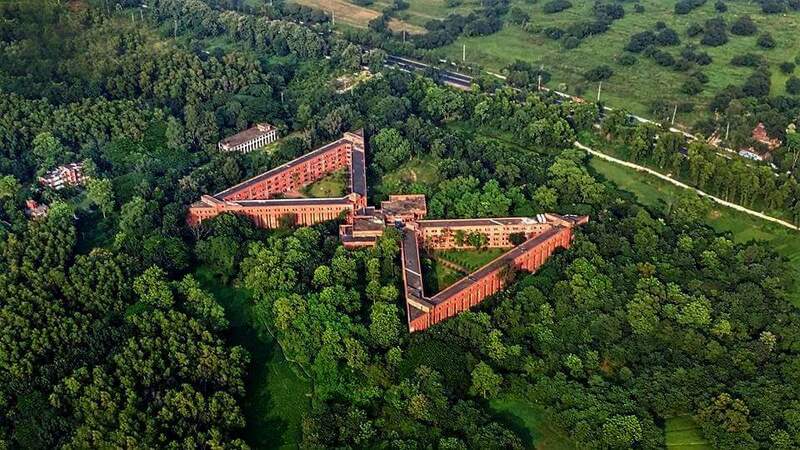 When seen from a bird’s eye view, one can admire the geometrical genius behind the campus of Jahangirnagar University envisioned by architect, Muzharul Islam. 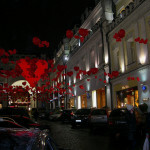 His aim was to create a balance between construction and the natural environment. As seen in the picture above, that is exactly what he did, perfectly. On what words he has for the future generation of architects, Islam stated “One has to be creative. One has to love his own land, its people and its culture and think profoundly about these. The love of one’s own land is the eternal source of creative power, which in turn, makes a proper architect.” This clearly reveals his ethic as an architect, which is well reflected in the construction of Jahangirnagar University. Read up more on the thought processes behind his designs here. Sitting on a hill, American University of Beirut overlooks the Mediterranean Sea. Comprising 64 buildings, the University also hosts the Archaeological Museum — Charles W. Hostler Student Center, as well as Natural History Museum. Needless to say, the students are not only able to enjoy its beautiful scenery, they get an extensive range of facilities to make use of too! For years, many of the alumni of this school have contributed greatly to its region and the world. In 1945, 19 American University of Beirut alumni were delegates during the momentous signing of the United Nations Charter. The number of representatives was more than any other university in the world, bringing the school much pride at such a prestigious event. Click here to read about more of such stories, a site that the university created as an archive of its historical moments to celebrate its 150th anniversary! 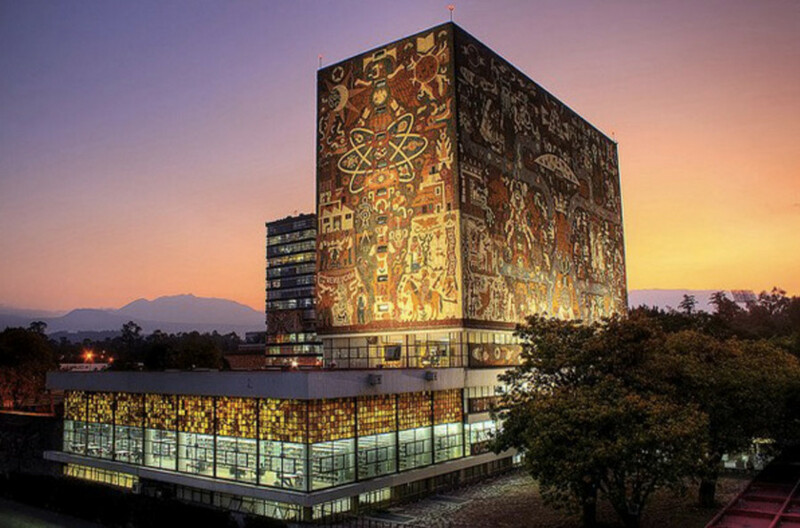 The unique campus of National Autonomous University of Mexico is decorated with large mosaic stone murals that illustrate the ancient history of Mexico through the use of Aztec and Spanish emblems. Each wall of The Central Library depicts a different time in Mexican history, one for Pre-Hispanic Mexico, one for colonial times, one for contemporary Mexico, and one just for the university. The Central Library itself took four years to complete. One interesting fact about the design is that all the stones, even the bright ones, are in their natural colours. Juan O´Gorman, the architect, was said to have travelled all across Mexico just to find the perfect stones. In all its mural-clad glory, this university is also a UNESCO World Heritage site. 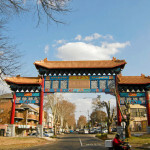 If attending a regular school is not interesting enough for you, how about studying in a preserved landmark? Click here for the school’s website! 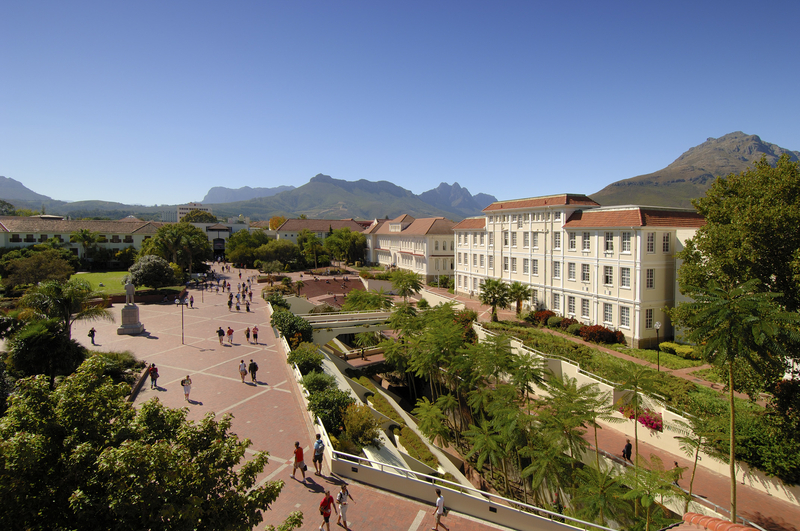 Surrounded by beautiful hills, Stellenbosch University makes studying a lot more enjoyable. Imagine attending classes here and having the view of lush mountains just by peering out the window! This campus is positioned by the banks of Eerste River. This river is found in a suburb of the same name — Eerste River, known for its wine growing and scenery. It is also only a good 50 kilometres away from Cape Town, making it convenient to visit for non-students and tourists too! To find out more about the school, click here. Situated only 16 kilometres from the city, Qatar University stands out with its elegant architecture. 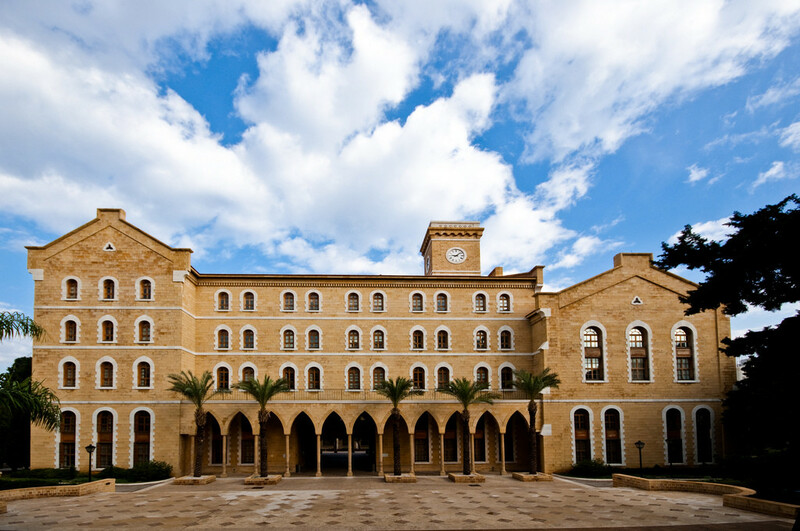 Of Arabic influence, the atmosphere of the university exudes a sense of serenity perfect for a student! Qatar University has a very diverse student body. Its students make up about 52 different nationalities, of which, 65% are Qatari nationals. Approximately 70% of its student population is made up of women. In Islamic culture, it is conservative tradition for men and women who are not related to avoid physical contact. As a Muslim university, the female students here are provided with women-only classrooms and facilities. 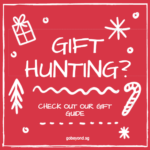 Visit the school website now to find out more! University of Cape Town stands at the base of Devil’s Peak, looking like something straight out of a landscape painting. If you are a person who is motivated by your surroundings or are an outdoor enthusiast, this would be the perfect school for you! Devil’s Peak is a 1,000 metre tall mountain, a popular hiking spot in Cape Town. Upon reaching the summit, one can enjoy a bird’s eye view of various suburbs in Cape Town. Multiple historic military blockhouses and cannons can be found on Devil’s Peak as well. To find out more about the school, click here! Taroudant University is the epitome of minimalism. 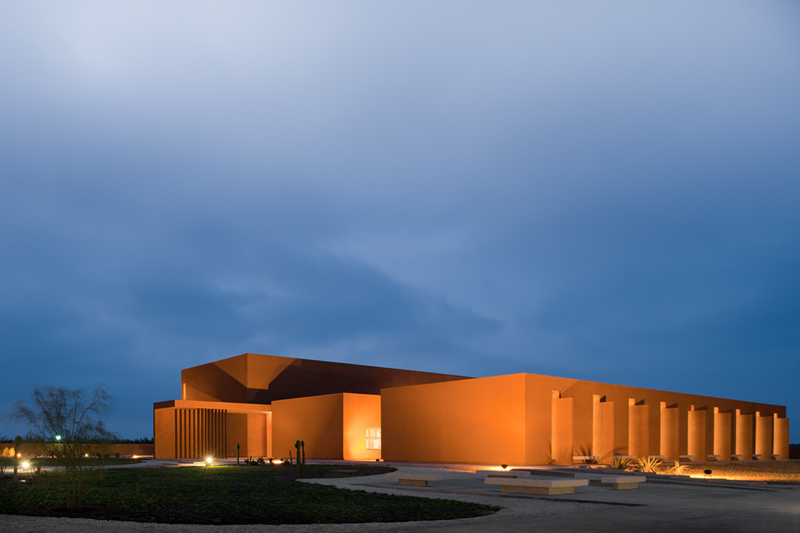 Forgoing common architectural styles, the architects of Taroudant University designed each building to be simplistically modern yet deeply rooted in Moroccan culture. With its warm-toned exterior and intricate lines running throughout the campus, this is as pleasing to the eye as it gets! The colour of this campus is inspired by the Sahara Desert. Designed by Saad El Kabbaj, Driss Kettani, and Mohamed Amine Siana, the architecture of Taroudant University is a muse for many architects all around the world. To see more photos of the interior of the school, click here. I’m Done With School, Now What?